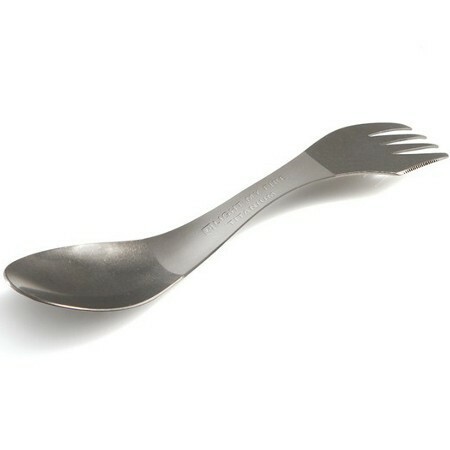 Extremely strong and lightweight titanium spork, made from one of the toughest alloys on the planet. It has a high biocompatibility meaning that it is very non-toxic and is hypoallergenic. Non-corrosive and dishwasher safe. Great for any meal on-the-go. Full sized spoon with serrated fork for easy cutting. 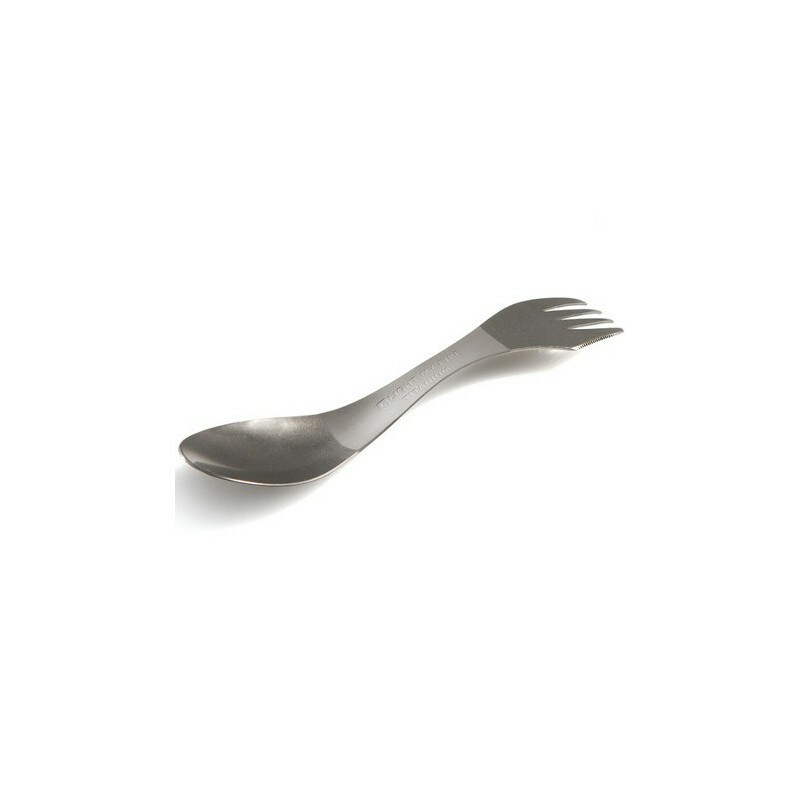 This extremly strong and lightweight spork is made from titanium, one of the toughest alloys on the planet. It has a high biocompatibility meaning that it is very non-toxic and is hypoallergenic. Titanium is used in the manufacture of aircraft, and is also used in surgical and dental implants. A fork, spoon and knife all in one utensil. Super strong, lightweight & portable. 170mm x 39mm x20mm. 20g. Designed and made in Sweden. Browse all our stainless steel homewares. What can I say? It's durable, lightweight, sustainable, and functional. Great to take with you when camping or going out. easy to use. lightweight. 3 - in -1=worthwhile purchase. Good little piece of cutlery to have in your handbag to save using disposables. Light weight and easy to use.